Yesterday marked the halfway point of our December fitness challenge. 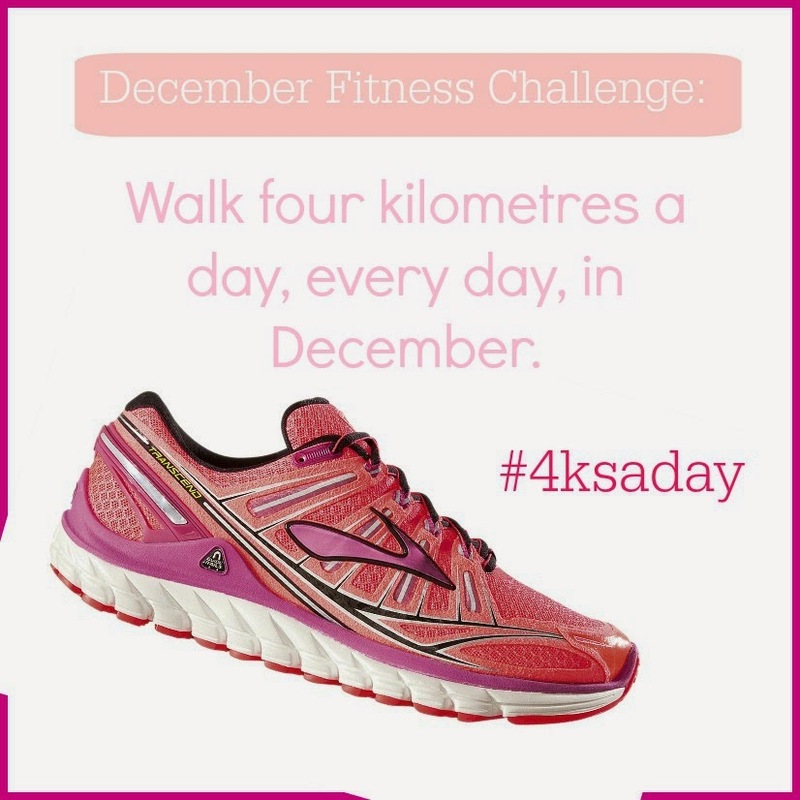 At the start of the month my husband and I decided to challenge each other to walk 4kms a day, every day, for the month of December. And I gotta say it's going better than I expected. Prior to the challenge I had only just started to get out of a rut in relation to walking. I think it was in part due to an improvement in the weather and with that came greater motivation to get active every day. However for most of the year walking had become a bit of a chore. I found lots of excuses not to go for a walk and when I did go, I wasn't really enjoying it. But with two weeks of consistent walking it has quickly become part of the day that I really look forward to. I've even lost a little weight. I've walked with a double pram and a single pram; I've walked with and without our dog; I've walked with and without company; I've walked flat paths and hilly trails; I've walked to get somewhere specific but mostly, I've just walked. Days walked: 6 out of 7. (I missed one day as I hurt my back doing Body Pump at the gym in the morning and so I wasn't up for a long walk. Happily my back has felt better everyday and is always at its best after a walk). Day walked: 7 out of 7. Average kilometres: 5.32kms a day. Here are the tips that have helped turn my daily walk from a 'should-do' into a 'must-do'. My goal was to walk four kilometres a day and it has really helped to have such a concrete objective. As Yoda says 'Do or do not, there is no try' (at least I read that on a t-shirt once!). It motivates you to go just a little bit further or a little bit longer. You can set any type of goal. Try "I'll walk for 30 minutes a day" or "I'll walk four times a week" or "I'll walk a set number of kms a day". Whatever your goal, you need to make sure it is a bit of a challenge, a target that will stretch you and therefore make you feel like you have achieved something when you reach it. I use the free app 'Map My Run' to record the distance I have walked. It means I don't have to guess how far I have walked and it helps you keep a record of your efforts. It provides great incentive and motivation to keep working towards your goal. Lots of apps or GPS devices will do the same thing. My husband and I were discussing (on our walk last night! ) our surprise at how accountable (read competitive) it has made us. Try making a bet, challenge your friends or use an app that lets you set fitness goals. Some apps, such as Pact or stickK, even let you potentially earn money by sticking to your goals. I haven't used them but they look like they may be useful. Just find whatever it takes to motivate you to get your walking shoes on! It's good to have a few set tracks that are familiar and close and you know exactly how long they take to complete. However to keep motivation high I find it helps me to mix it up and try different trails, roads or paths. Try walking from a different starting point e.g. from kinder/school drop off, from a shopping centre, from a friends house. Explore a part of your neighbourhood you've never been before or google search for walking paths in your area. I find my walks are more peaceful, enjoyable and regenerative if I walk someone surrounded by trees, bush or water as opposed to walking along busy roads surrounded by cars. I'm lucky that I live in an area that makes this easy, but do try to walk somewhere where you are surrounded by some form of nature even if it means you sometimes drive to your starting point. I find it makes for a far more enjoyabe and grouding experience. Time flies when you are busy talking and catching up with a friend. Socialising and exercising at the same time - what more can you ask for? It also feeds into keeping you accountable if you have made a commitment to walk with someone else. I'm guilty of using the "I was too busy" excuse to avoid exercise so if you use your walking time to multi-task you can feel like a time efficient over-achiever. Call someone you've been meaning to call for a while; create your mental to-do list; plan your day; plan your Christmas shopping list; take the time to set other goals yo never give yourself a chance to consider; listen to an audio book of that novel you have been meaning to read forever, or, my new favourite, listen to a podcast. I'm still loving the TED talks - I've listened to a range of talks covering everything from body image, being vulnerable, the value of making mistakes and a wide range of amazing people talking about how they achieved a whole manner of inspiring feats. I'm also going to seek out the 'Serial' podcast that is apparently the latest big thing - a true crime pod cast and a spin off from the NPR series "This American Life"
And finally a bonus eighth tip - if you are a mum, invest in a good pram. I have a singe and double Mountain Buggy (both bought second hand on ebay) and they are fantastic. They are easy to manoeuvre and they handle all terrain which makes walking so much easier and less tiresome. Hopefully, when it becomes a true habit, I'll just set off for a walk just like I brush my teeth - with no thought, fuss or effort! I'd love to see where you are walking - share your walk on instagram with the hash tag #4ksaday. Have you set any fitness goals? What tips have helped you achieve your goals? I've been doing 5km on my treadmill every day for the last 3 weeks and am watching my pot belly very slowly disappearing. One week I walked 55km all up but my feet were swollen and blistered so I cut it down and bought better shoes. Walking in the outdoors is so hard up here in North Qld with the heat and humidity. It is nicer though I agree. Keep up the good work! Well done. I think I have to be stricter with myself and push to find the time and energy for this. I would like to do more walking, but it's so boring just around my house, and the idea of driving somewhere puts me off. which is just an excuse but it still stops me. Your surroundings can have a big impact - but I swear you need to try a podcast, your surroundings just melt away when you are listening to a good one! I love this Dani, what a great idea. 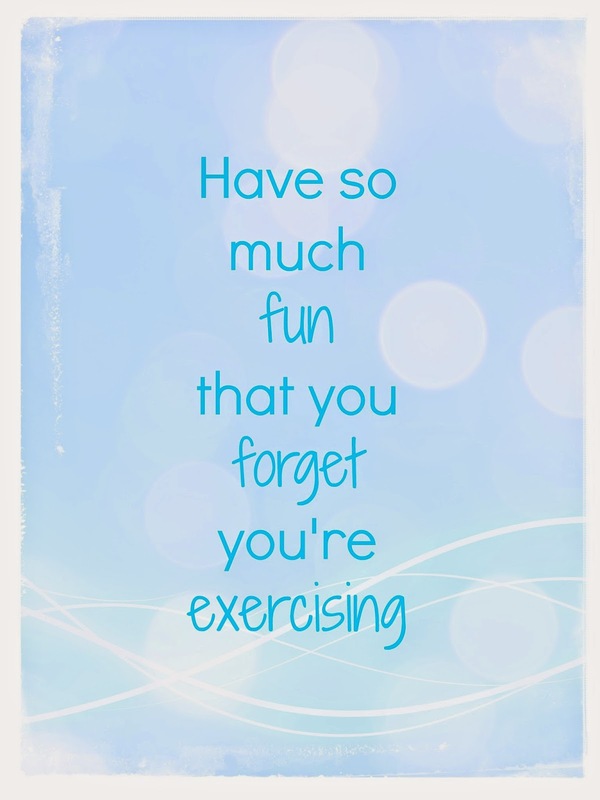 So similar to what I was thinking today, ways to get out and squeeze in some excercise. Love this post. Thanks. I did mean to include a reference to using walking as 'active transport' - it's good for the envrionment, good for the wallet and good for the mind, body and soul. And don't even start on the parking situation at schools - I think so many more people should follow your lead and walk! I'm feeling motivated to be accountable for my hubby. I want him to value his health a bit more and start walking too! A few years ago I use to try and push him to go to the gym but he seemed to not enjoy it, maybe because he was being forced. Now I've noticed his weight is affecting his health so I want to encourage him to start again, start something. We have a small infant and a three year old so its hard to exercise together. I usually go to the gym early in the morning and my husband works in town so he's home most days at 7pm exhausted and hungry. Any tips or advice on how my husband can find the time to work out? Or how we can exercise together so I can help motivate him? - Buy a double pram. When JJ was born MJ was 3 and we thought we could get away with not buying one, but it meant we stopped going for walks together and it really limited us. Buying one cheap on ebay was a great decision. - Make a 'date' on the weekend to do something physical like indoor rock climbing. It may help him recognise his current physical limitations. - Keep being a great role model. I know I am in part more active because my husband is always on the move. - Make a walk together on the weekend a non-negotiable. It's a great time to talk and catch up on the week with no distractions as well. Awesome work there, you are killing it! Great job Danielle. I think that the most important points are #1 and #2. Setting goals and then tracking the goals so that you know whether you're meeting them or not. Wishy washy goals don't work, but when they're specific, they become much easier to attain.